There are many benefits of burning Soy Works Candle Company brand of soy candles in your home such as knowing all of our raw materials are sourced in the United States. Sourcing our raw materials in the U.S. may seem small but deforestation of our world’s rain forests is a huge issue and the number one reason for deforestation as of 2012 was soybean plantations. Our beans are sourced from farmers in the midwestern states of the USA and processed in facilities on the east coast to produce the high quality soy wax we use in every hand poured candle we sell. 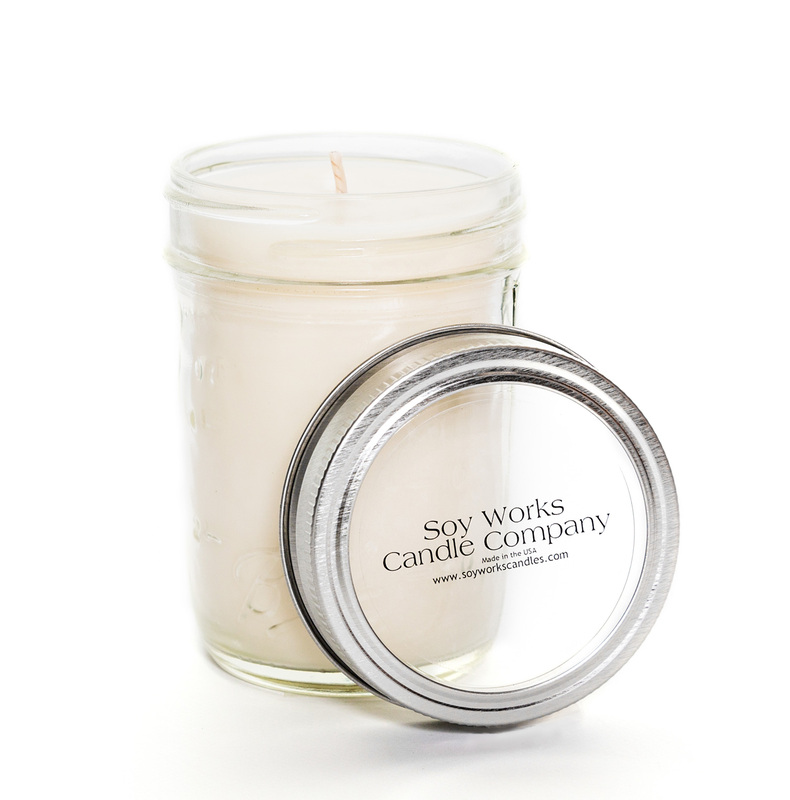 Not all soy candles can compare or strive to meet the green goal of Soy Works Candle Company. We do our best to reduce our carbon footprint by minimizing packaging and promoting recycling of our packing materials & glass jars. Read more about the GREEN BEAN & our brand of candles below! 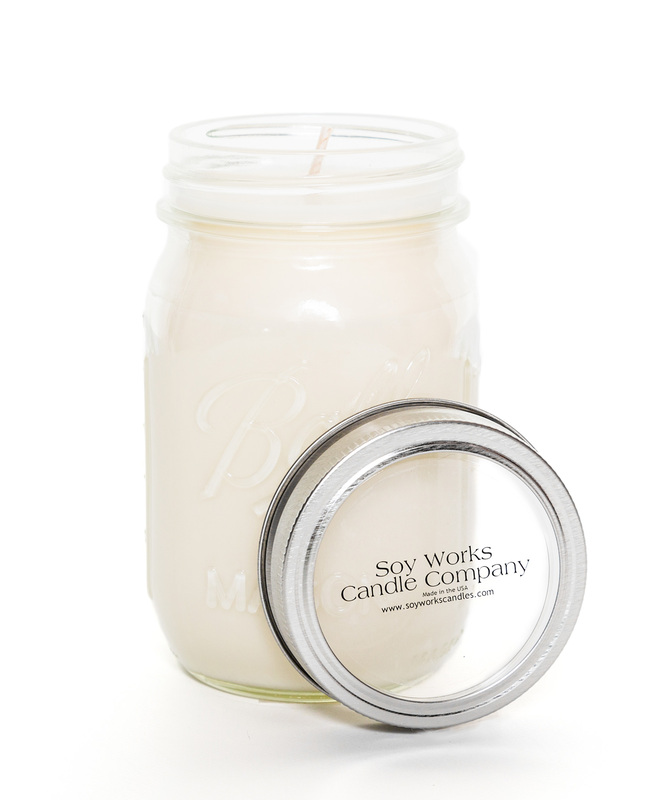 The Soy Works Candle Company also offers a wholesale program open to retailers and consumers. Are you hosting a party, wedding or other large event? Let us supply the candles. See our wholesale department for the details on our discounted soy candles & low minimum order. Ask us about our Private Label option for branding your company name or event. Looking for a way to raise funds without selling chocolate or wrapping paper? We have a great fundraising program that earns your organization or group 50% on each candle sold and candles are always in season. Why choose Our Soy Candles? To us the decision is easy. Although, we are slightly biased since we make the best candle we’ve ever used. Read on for more benefits of soy candles, hand-poured by professional chandlers. 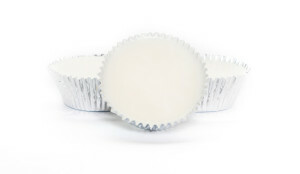 Our Soy Wax is made from soybeans grown and processed in the USA. 100% Cotton Wicks – no metal or lead. 100% recyclable American made glass & tin containers. Easy cleanup of spills with hot soapy water; treat the spill as you would any vegetable oil spill. We’ve been pouring candles since 2001 and our experience shows; each candle or wax melt is mixed and poured by hand in small batches. Premium fragrance oils are mixed throughout the entire candle for hours of enjoyment. Twice the burn time of most commercially made candles. Burn clean with little to no soot, which is great news for cleaning walls and ceilings. strives to educate you, the consumer, on soy based products. strives to reduce our carbon footprint by utilizing eco-friendly products, packaging and raw ingredients. Most of our plastic packaging materials are corn based and biodegradable, which reduces our carbon footprint. Our containers a fully recyclable as are our shipping boxes. asks our customers to take an active role in educating themselves by asking questions and enjoying natural based products. Want to sample a scent before making the commitment to buy? Now you can. Email us with your scent preferences and we’ll send out sniffie samples to you for free. Sniffie samples are porous paper with a few drops of fragrance oil similar to perfume samples from a department store. If you would like a larger sample to use, we suggest our SoyTart Singles. We have a couple fragrance lists you can download. One includes descriptions of the fragrances and the other is grouped by category, such as floral, holiday and fruit.